San Jose area dentistry with family dentist Devinder Shoker, D.D.S., is your choice for both routine and more complex dental care for you and your family. Our professional team will put you at ease as your teeth are examined and cared for. We believe in proven care and regular treatments to keep your teeth in perfect health. At Shoker Dental Inc. we take the time to ensure you receive the dental health treatment you need, always in a friendly and comfortable environment. At your first visit, we will take a full medical history and carefully examine your teeth, then we'll suggest the appropriate treatments, if any are necessary. We are highly skilled in a full range of routine and more complex dental treatment options. It's easy to make an appointment right now. Just call our helpful staff at (510) 713-7333 or complete our easy online form. Now is the best time to get the top dental care you deserve - we're looking forward to meeting you at Shoker Dental Inc.! If you need gum disease treatment, San Jose area gum disease dentist, Dr. Shoker offers extensive experience. 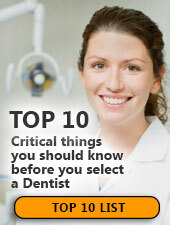 Unhealthy gums can be a risk factor for more serious health problems if not treated promptly. 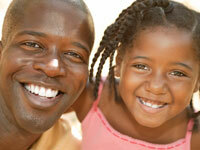 If you're looking for a quality family dentist in Sunnyvale you've come to the right place. Dr. Shoker offers family dentistry that Sunnyvale residents have come to trust for caring and professional dental care.